Last week my friend moved to Portland, OR and asked if I’d join him on the drive north. Having never been outside of Portland, while in Oregon, it didn’t take much arm twisting. We set off after the Bay Area rush hour had subsided and aimed towards Eugene, OR (originally the target was crater lake, but snow was forecast which, given our mode of transit, was a deal breaker). The sun had set by the time we reached Eugene, so we made a quick stop for dinner, grabbing massive plates from Tasty Thai Campus and I hopped on my phone to search for a day hike for the following morning before we lost cell service. We were looking for a short hike that would give us a feel for the Siuslaw Forest without being too much of a detour on our journey. Unfortunately the Siuslaw National Forest’s website doesn’t facilitate hike discovery as the hikes are presented as a long list of arbirary organization, rather than a map or popular hikes. Thankfully we soon came across the Statesman Journal that had something a bit more useful: Top 5 Hikes in Oregon’s Central Coast Range. After a dry and restful sleep beneath the pitter patter of rain falling on the Budget Truck’s sheet metal roof we set off down the Sweet Creek Falls Trail. 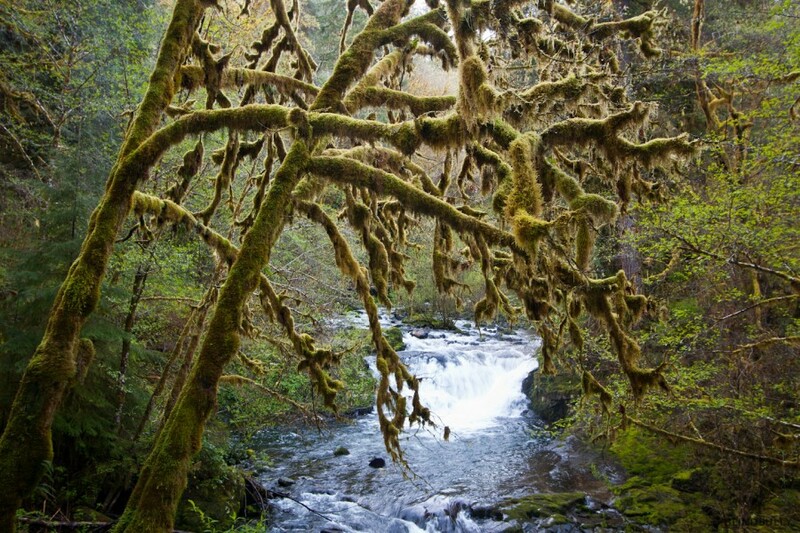 The Siuslaw is a lush, beautiful forest thick with ferns, western hemlocks, Douglas firs, and aspens. The lichen is also incredible, draped and dripping over skeletons of trees both dead and alive, creating a haunted aura. And of course the Sweet Creek Falls Trail has a multitude of beautiful waterfalls ranging from full-width, straight-edge, slab drop offs, to tall 40+ foot chutes to smaller rambling rapids. Learn more about Siuslaw National Forest at fs.usda.gov where there are downloadable maps and a long list of hikes. Spyderco Delica 4. Japan. $65. Purchase. Benchmade Mini Griptilian 556. USA. $85. Purchase. Kershaw 1660 Ken Onion Leek. USA. $35. Purchase. 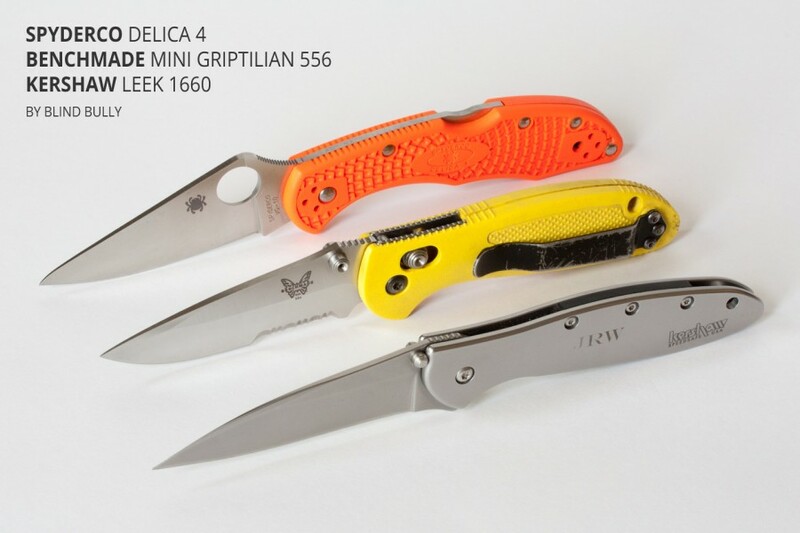 A review of three popular every day carry (EDC) knives with blades shorter than or equal to 3 inches. 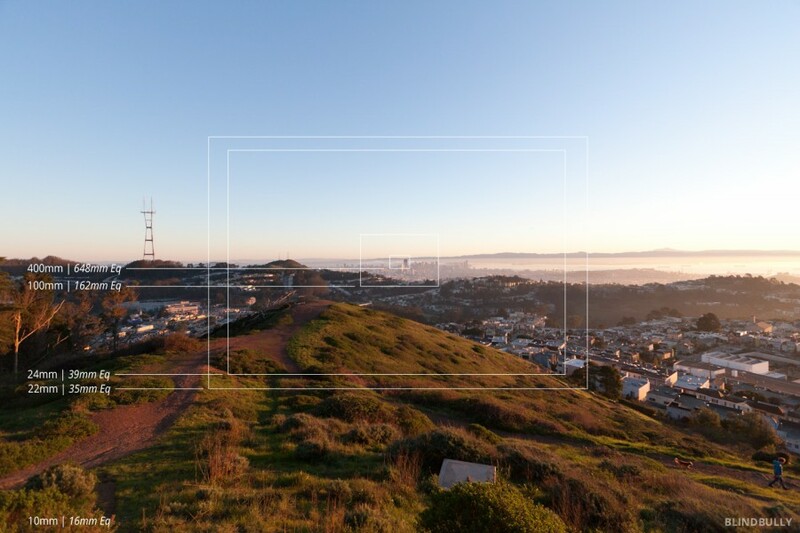 Buying camera lenses can be difficult without properly test-driving and the fact that new lenses don’t always have good example images available to show the range of zooms (especially for APS-C sensor cameras paired with EF lenses). In this post I’ve gone through my archive and selected images that were taken from the same vantage point at both the widest and narrowest zoom settings. This will hopefully help those considering purchasing any of these lenses (or lenses of comparable zooms) for an APS-C equipped camera. This is the kit I bring with me for Adventure times and while they aren’t the fastest lenses, they allow me to cover a range of 10-400mm or the 35mm-equivalent of 16-648mm. This is a pretty awesome range to have with only three lenses. All the images below have been processed with Lightroom 3 and exported at 1440px widest side and are, unless noted, uncropped and unrotated. I’ve also noted the zoom (unconverted), f-stop, and shutter speed in the file name and in the lightbox if interested. My camera is a small, light, and humble, 7-year-old Canon 450D with an APS-C size sensor that results in a 1.62x crop factor. As such, this post is primarily for those with the same size sensor (latest models are Canon EOS 7D Mark II, 70D, & 760D). Also, off topic but relevant to this post, note that Safari is having issues with my CSS columns and insisting on unevenly distributing the text in the columns to the left, so there are always two more rows of text on the left than the right, even if there are only two rows of text total. As I look for a fix please consider viewing in Chrome. Nisolo Emilio Chukka Boot in Brandy (size 9.5). Peru. $178. Purchase. 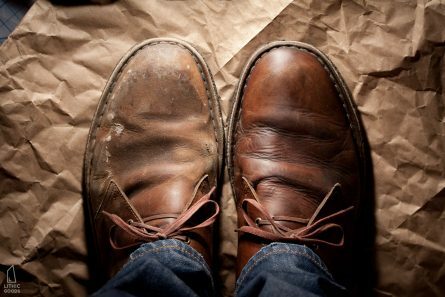 UPDATE Oct, 28, 2016 – Turns out my friend only wears sneakers, so I really haven’t gleaned any insights into these shoes since my initial thoughts. Full post coming soon. Initial thoughts are generally positive: beautiful leather, great upper detail with full lining, leather sole is a Blake welt, which isn’t ideal for rainy locales, but is OK for dry climates or fair weather days. The edge of the sole has what appears to be a fake welt for decorative purposes, theoretically riding on the tide of Goodyear and Blake/Rapid’s good perception and style. This is deceptive and thus frowned upon, but they do mention it in their product description as an “Added layer of stitching between upper and leather sole for a slightly more rustic look.” I’ve gifted these to a friend, so I’ll report back on wear updates. Timberland Coulter 9 Eye in Rust (size 13M). USA. $425. Purchase. 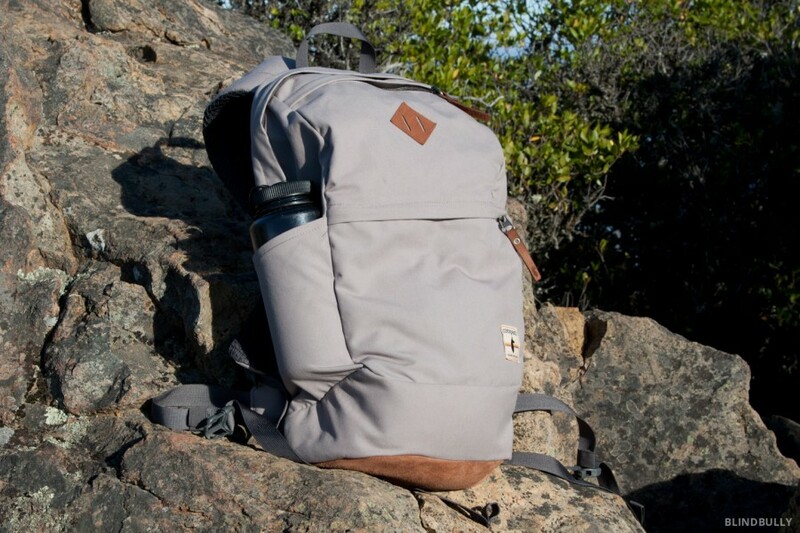 Cotopaxi Kilimanjaro 20L Backpack in Driftwood (Grey). Philippines. $80. Purchase. Hario Slim Hand Grinder Coffee Mill (MSS-1B). China. $25. Purchase. Cilio Ceramic Dripper #4. Germany. $19. Purchase. After using a generic Skerton-style hand grinder every morning for years, I experienced this Hario slim coffee mill at a friends home and was immediately converted. It solved numerous issues I had with my original mill in a simple, elegant, and affordable design. The only problem was my reluctance to create waste that causes me to be effectively incapable of throwing away products that technically still function (aka slight hoarding tendencies). As such, this grinder was on my wish list for quite some time, but finally an excuse arrived and I pulled the trigger. So, now that I’ve had the pleasure of using it daily for the past 4 months, here is the review. Most manual grinders have lids, but my previous one didn’t and it drove me crazy that near the end of a grind session bean fragments would explode out of the burrs onto the floor. With the press-fit lid on this Hario that never happens and it’s easy to keep an eye on the supply. On the other end, the portion indication markers on the side of the base work perfectly for pour overs as well as an Alessi 9090 espresso maker, which requires a far more precise ground volume for a perfect brew. The removable handle and small diameter are great for minimizing shelf footprint, allow for an easy pour into an Aeropress, and make it easy to pack for weekend adventures. The handle also cleverly hangs off the mill when in the cupboard. The only things I’d change would be to swap the plastic base for glass and for it to be manufactured in the USA for improved quality control, but besides those two small qualms (which could be negatives in that they’d add weight and cost), this is a damn fine hand grinder. 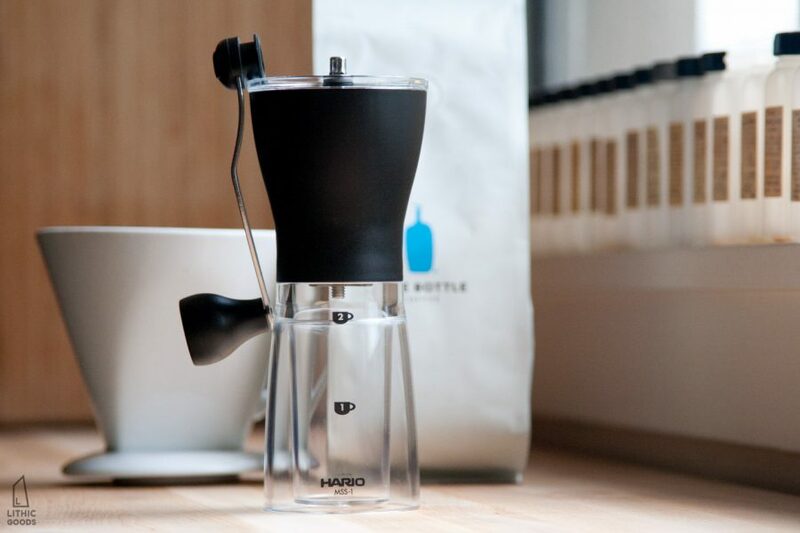 If you’re also in the market for a kettle read my review of the Hario V60. The slim Hario coffee grinder should a great product, but is hampered by manufacturing quality issues. Read the update below to learn more. UPDATE [Jan 20, 2015] My friend has bought the same grinder and has had trouble removing the handle after grinding. This occurs because the handle has cut into the hexagonal drive shaft and created notches that prevent the handle from sliding back off the top. This is due to a small contact area in the handle combined with an unacceptably soft metal used for the center axis shaft. A simple work-around is to fully attach the handle and then lift it 1/8″ (3mm) before grinding, allowing the handle to bite the shaft above the notch, providing for an easy release. Being forced to modify behavior to successfully use a product isn’t ideal, and the problem could easily be solved through a design modification or stronger shaft metal, but this fix works and I anticipate the handle to become uniformly worn in a couple months such that the problem is no longer present. Below you can see a side by size image of a smooth issue-free hex shaft on the left and the notched shaft on the right. UPDATE [Apr 17, 2016] I thought the drive shaft issue would go away as the shaft wore down uniformly, unfortunately that was not the case, and rather the problem has become far worse. The hex drive has now completely stripped. If my friend goes to crank the handle it just freely spins without grinding the beans at all. He’s submitted a manufacturing defect claim with Hario, so we will see how their customer service handles the situation. Sequoia National Park is the perfect halfway point between LA and SF for those looking to rendezvous in the Sierras. There are numerous excellent hiking trails and on this trip we chose to day hike to Pear Lake along the Lakes Trail, backtracking along the same trail, with the incorporation of the the Watchtower Trail as an alternate midsection. The weather was cold and rainy at camp, but turned into our first snow of the season at higher elevations. The clouds provided a low ceiling and moved rapidly up the valleys, dramatically revealing the beautiful landscape through soft windows. 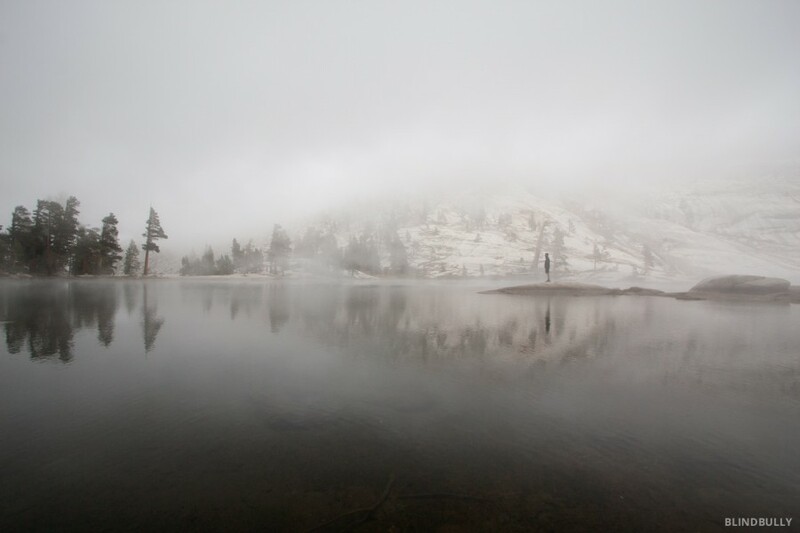 the surface created a serene, almost magical atmosphere. Not surprisingly we weren’t the only ones with this plan and towards the end of lunch we exchanged cameras with another friendly party comprised of SF & LA folks for group portraits. On our return along the Watchtower Trail our jaws dropped as we came around the bend and saw the thousand foot cliff stretching down to the valley floor. With no reason to resist we took a detour and clambered along the ridge to the point of The Watchtower, only to find ourselves in a relentless cloud—thankfully we’d already seen the cliff as it had been clear when we arrived. 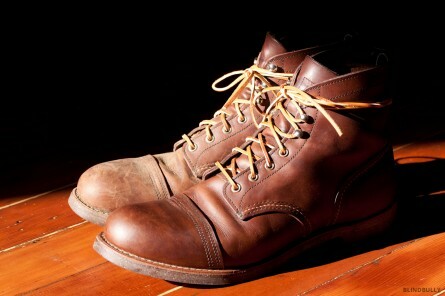 Eastland Monroe Cap Toe Boot in Dark Brown (size 13). USA. $425. Purchase. Frye Logan Cap Toe Boot in Cognac (size 12). USA. $428. Purchase. Woolrich Yankee in Buckskin (size 13). USA. $300. Purchase. Chippewa 6″ Homestead Boot in Copper Caprice (size 12). USA. $267. Purchase. Bonobos Premium Denim, Flatiron Dark Rinse, Slim Straight Jeans. USA. $145. Purchase. Welcome to the second Lithic Goods Boot Shoot! After the immense interest in the first Boot Shoot (feat. Alden, Oak Street, Red Wing, Wolverine, and Timberland) and numerous suggestions from readers for future reviews, I couldn’t help but continue down this path. A path that runs through old industry USA, including four solid American brands: Eastland, Frye, Woolrich, and Chippewa. 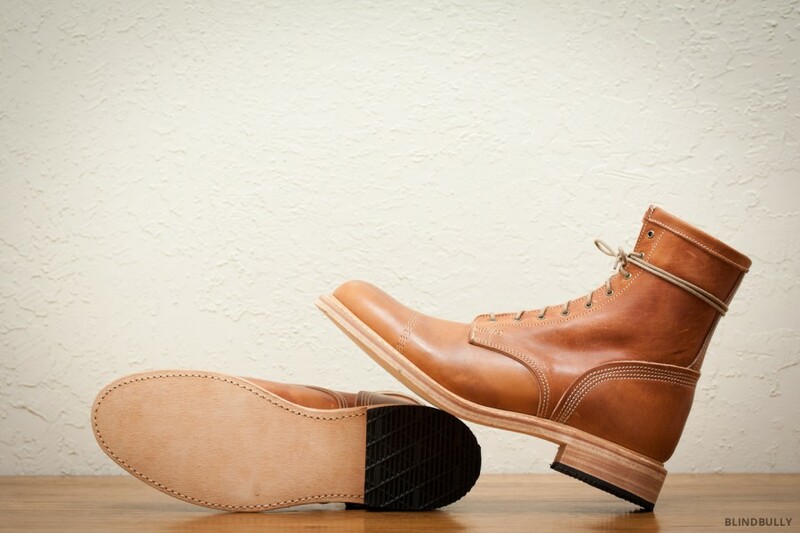 Eastland and Chippewa have been on my list for a while, but I believe the Frye Logan was just released for F/W 2014. While these three brands are well known in the shoe business, the Yankee is part of Woolrich’s debut line of boots, expanding their Made in the USA product offering. These boots were all chosen for their Blake/Rapid or Goodyear Welt construction and cap toe style (although obviously the Woolrich Yankee doesn’t quite match, it is the closest they make and I was curious about their new adventure). 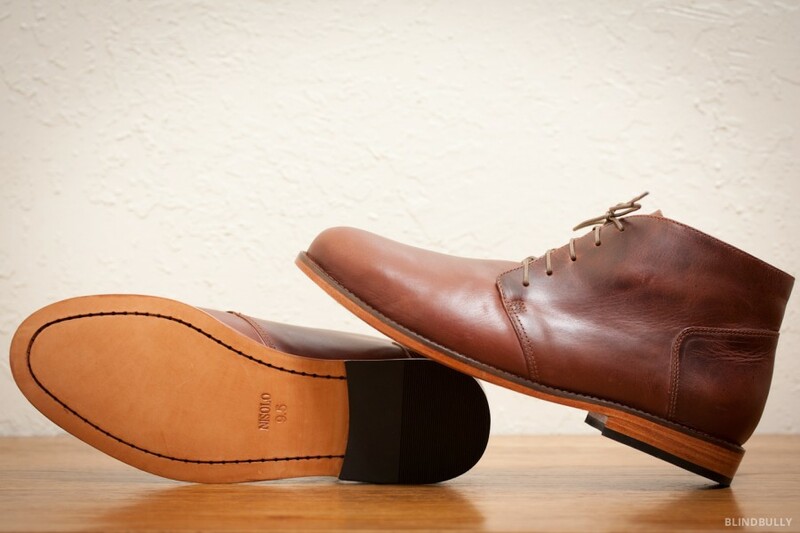 I’m partial to the following: a true goodyear welt for resoling and longevity, cap toes to aesthetically break the length of the shoe (I wear a size 13, but for those that run a size large I ordered down as noted), a method for speedily donning the boots, clean edges (as opposed to broguing), a sole with traction since these are for NYC winter, leather lining for boot longevity & comfort, and made in the USA. Read on for a breakdown of each boot. Rising out of the miles of artichoke and strawberry fields tiling California’s Central Valley, Pinnacles National Park is an escape to golden grasses, live oaks, rolling hills, and beautiful rock formations. The west entrance is only open during daylight hours and doesn’t allow camping, which might not be good for the park’s attendance, but those who take the time are well rewarded with tranquil trails and expansive vistas. desaturated sun casting a silver light with incredibly deep shadows than a moon. So much so that there is the unconscious avoidance of looking directly into the glowing disk to protect one’s eyes, although unlike looking at the sun, it is possible to adjust to the intensity of the light and view the moon’s beautiful surface texture of craters and contours. 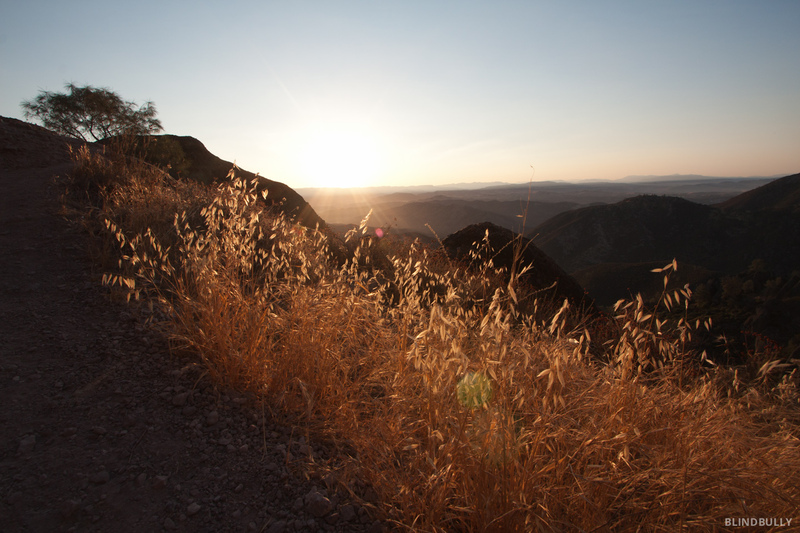 Hiking the bare ridge lines of Pinnacles National Park on the High Peaks Trail is the perfect way to observe a Supermoon’s brilliance during a cool summers night. The peaks are home to a variety of birds, including many turkey vultures near the peaks and a few cliff swallows whose nests attach to imperfections in the rock face. More information can be found at nps.gov.